The Vasomedical model TS-4 is the third mainstream model EECP® device introduced by Vasomedical Inc. The TS-4 was introduced circa 2003 with a similar configuration and platform to the previous model TS-3. The TS-4 was only out for a short period of time until the Lumenair was introduced. The TS-4 was rumored to be a more cost efficient device to make with only a few changes with the user interface. This unit is virtually an enhanced version of the TS-3. The TS-4 is a slightly smaller footprint than the TS-3. 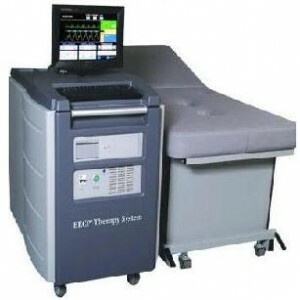 The TS-4 is similar to the TS-3 in terms of patient comfort. Vasomedical is known for having comfortable cuffs that deliver a good squeeze. Same cuffs can be used with the TS-4 system. The TS-4 reported the same technical problems (minimal) than the previous model TS-3. The TS-4 has service available from the manufacturer Vasomedical but the cost of service is at a premium. TS-4 is a good value of all EECP Therapy units in that it is an enhanced version of the TS-3 at a price much lower than the model Lumenair. Download this free tool to determine useful device features, negotiate service guarantees, and expose each company's real strengths & weaknesses to ensure you make the right investment.